The Progressive TD65-2B is designed to maintain large mowing areas. Using your own tractor, the TD65-2B is capable of mowing over 60 acres in an 8 hour day at speeds up to 6 miles per hour. 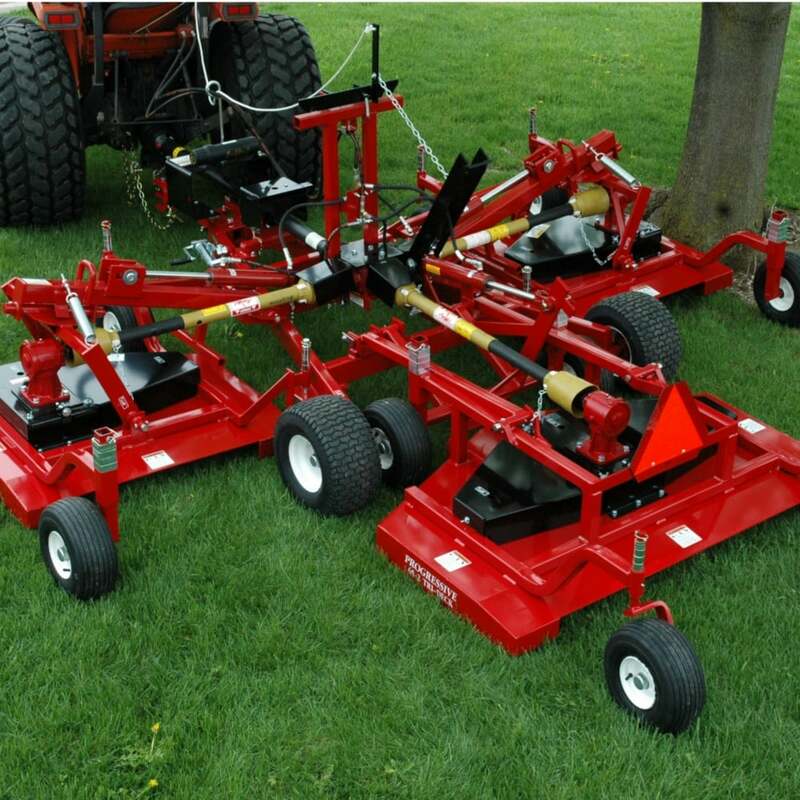 Three independent floating mower decks mounted on a transport frame follow most ground conditions found in school yards and recreation areas, producing a superlative after cut appearance. The superior quality of cut is produced by the high lift blades which produce enough vacuum to lift the grass. The mowing decks unique design also assists in the even dispersion of clippings through the open rear discharge area. Only minutes are required to change the cutting height from 1” to 5” without the use of tools. All transport and mowing functions are activated without leaving the tractor seat. Maintenance free blade spindles offer peace of mind and lower cost of operation. If a large area mower purchase is in your plans, consider the TD65-2’s rugged construction, functional design, low maintenance requirements and a mower that retains its value.